Rehearsals are monday nights at 7pm | Learn more! The Garden Choir is an adult, non-auditioned chorus of over one-hundred people that has performed locally, at Carnegie Hall, and at international choir festivals including Limerick, Ireland. Voci del Cuore, translated Voices of the Heart, is an auditioned chamber choir of professional-level musicians. Since beginning in 2017, Voci del Cuore has already stunned audiences throughout Central Florida. Our newest ensemble is the Outreach Choir. This group is made up of volunteer members from both Garden Choir and Voci del Cuore. Our Outreach Choir performs music once a month in various assisted living facilities in the West Orange area. We rehearse Monday evenings at the West Orange High School band room from 7-9pm, except during the Summer. We perform music of all styles including classical, jazz, folk, spirituals, Broadway, and more. Our Artistic Directors ensure the highest quality at each of our concerts throughout the season. Dr. Jeffery Redding, Director of Choral Activities at West Orange High School in Winter Garden, Florida, has led his choirs in performances at state, regional, and national conventions of the American Choral Directors' Association (ACDA). West Orange choirs have earned first place awards at Heritage Festivals of Gold in California, Chicago, New York and at the Festival of Spirituals in Washington, D.C. While participating in the International Music Festival in Verona, Italy, West Orange received the Gold Award for best choir, with Dr. Redding honored as top director. Dr. Redding is in demand as a guest conductor and lecturer. He has conducted the ACDA National High School Honor Choir, the Central Division ACDA Honor Choir, the North Central Division ACDA Honor Choir, the Eastern Division ACDA Honor Choir and All-State and Honor choirs in Alabama, Arkansas, Colorado, Connecticut, Florida, Georgia, Illinois, Indiana, Kansas, Kentucky, Louisiana, Minnesota, Mississippi, Montana, New Jersey, North Carolina, Ohio, Oklahoma, Rhode Island, South Carolina, South Dakota, Tennessee, Texas, Virginia, Washington, West Virginia, and Wisconsin. Internationally, in 2014 he was the only American adjudicator at the International Choral Festival, in Verona, Italy. He served as Guest Conductor at the TAISM Festival of Choirs in Muscat, Oman in 2017 and was chosen as the Artistic Director for the Limerick Sings International Choral Festival in 2018. He is regularly chosen as one of the guest conductors for Disney World's Candlelight Processional at Epcot. Previously Director of Choral Activities at West Virginia University, Dr. Redding has been featured as guest conductor at Carnegie Hall, Alice Tully Hall, Kennedy Center, and Orchestra Hall on numerous occasions. He was also honored to give the prestigious TEDx Talk. Recognized for his achievements and service in the profession, Dr. Redding was awarded the R. Wayne Hugoboom Distinguished Service Award for “dedicated service, leadership, and excellence” by the FL Chapter of ACDA in November 2015 and was also a Quarterfinalist for the Grammy Music Educators’ Award in 2016-2018. 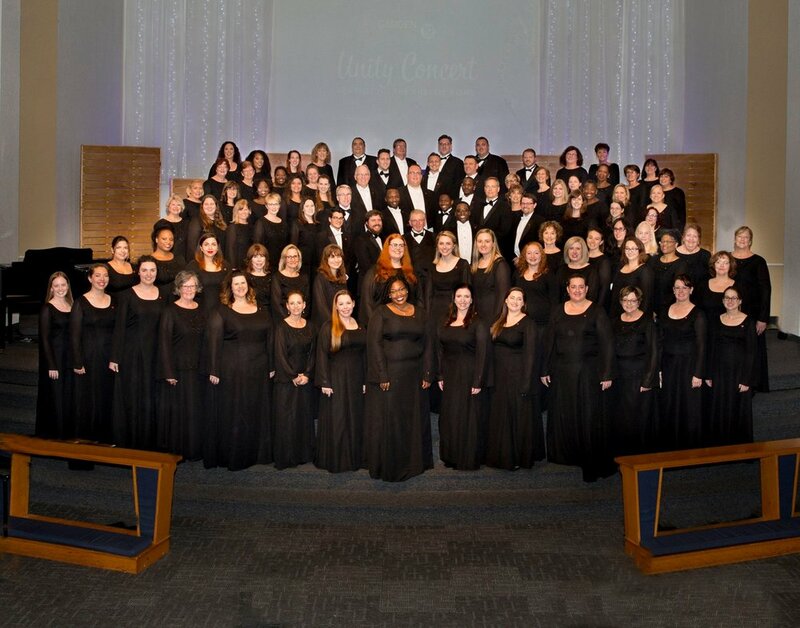 Dr. Redding is founder and Artistic Director of the Garden Community Choir and a professional chamber choir Voci del Cuore in Winter Garden, FL. Formerly with the Moses Hogan Singers, he remains active as a singer in the professional male singing group, "Brethren." The Jeffery Redding Passion & Purpose Choral Series is a compilation of new choral music by various composers, published by Colla Voce Music, LLC. Dr. Redding holds a Ph.D. in Choral Conducting/Music Education and a Master’s in Music Ed., both from the Florida State University, and a B.S. in Music Education from Florida A&M University. He is a member of ACDA, NAfME, FVA, NATS, and Chorus America. In the FL Vocal Association (FVA) he has served as District 8 Chairperson. In the FL ACDA, he has served as State R&R Chair for Ethnic Music/Multicultural Affairs, Co-Chair for the High School Mixed Honor Choir, & Chair of Youth/Student Activities. Currently, he is the State R&R Chair for HS Mixed Choir for FL ACDA. J. Christine Le teaches chorus and music theory at Olympia High School in Orlando, Florida. She received her MM in Choral Conducting at Michigan State University in 2015 and her BME at Centenary College of Louisiana in 2011. Mrs. Le also taught middle school choir, show choir, and music appreciation in Shreveport, Louisiana. She has served as conductor and accompanist in several United Methodist churches of Michigan and Louisiana. Mrs. Le has presented interest sessions at the Louisiana ACDA and Florida Music Educators’ Association conferences. She was a finalist in the 2015 ACDA Graduate Student Conducting Competition. Mrs. Le’s most influential teachers include Dr. Julia Thorn, Dr. David Rayl, Dr. Sandra Snow, and Dr. Jonathan Reed. Ledean Williams was the original accompanist for the Garden Choir, serving from 2008 to 2012, and was thrilled to perform with the choir in its 2011 Carnegie Hall debut. She is beyond happy to return to the choir, after taking time away to tend to her very active family. Ledean has performed alongside vocalists and instrumentalists in solo, choral, chamber, musical theater, and church settings, including performances with The Orlando Chorale, Eastern Shore Choral Society, Mobile Piano Ensemble, choirs and soloists at Florida State University and Louisiana State University, and a wide range of high school choral programs, honor choirs, and choral competitions. She also serves as Musical Director for the Montverde Academy theatre department’s musical productions. Ledean holds a Bachelors degree in Music Education from Florida State University, and a Masters degree in Piano Pedagogy from Louisiana State University. Like to sing? We've got a place for you. The Garden Community Choir is open to all singers, no auditions necessary. Tell us a little about yourself and we'll have someone get back with you. Join our newsletter to keep up-to-date on rehearsal schedules and member happenings. We respect your privacy. We will never sell or distribute your information, and you can unsubscribe at any time. Thank you! You'll receive our next newsletter as soon as it's ready. A special thank you to our generous supporters. Your annual donation will allow us to make a significant contribution through our various community outreach initiatives. We are a 501(c)(3) nonprofit and all donations are fully tax-deductible. Get your business information in front of hundreds of Orlando’s most cultured residents! We offer different sized advertisements in our programs to meet your budget. For more information on becoming a supporter of the choir, please contact us at info@gardencommunitychoir.org.